AnonD-25886, 16 May 2015I am using this mobile from August 2012, from past one month, when I turn on my wifi, its says... moreswitch off your mobile. a menu will appear go to flash option using volume button andvselect using home. its a good phone i was using last 3 years and no doubt its a great phone. This mobile music quility was awesome.But finally i was change my phone please suggest me which phone i was buy in 10000/- price. I am using this mobile from August 2012, from past one month, when I turn on my wifi, its says the error as "wifi error". Can anyone help on this? I cant able to on my wifi. guys i am using this device for the past 3 years , it is the best phone in that price segment , and one of the first android phone at that price segment at that time , i really love this phone ,and damn sure it is the strongest andriod phone. I am recently rooted my phone successfully but now Iwant to upgrade my gingerbread os to lollipop.Any body can provide help in upgrading my os to lollipop after rooting plz? It is good average mob with less internal memory. Im using this since 2.5 years. Sometimes it hanges but main problem I feel it does't support hindi fonts. sadiq, 07 May 2014how to root micromax a52 please tell me download software : root master from mobiles24.com. And install on your phone open this and do rooting it completes just in single touch.try it. you dont face any risk while rooting. micromax A52 marathi language font intilation? 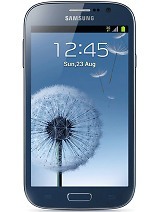 Currently I'm using Micromax A74. I installed whats up but not able to see icon on screen. It was working very nicely. After installing I even switched off phone and restart. But did not work. Could you please solve my problem. I do not know how to restore what's up icon on my home screen.